Dies R Us: With Deepest Sympathy! It's Wednesday again & time for my contribution to the wonderful ideas you have already gotten from Mikha and Darlene this week. 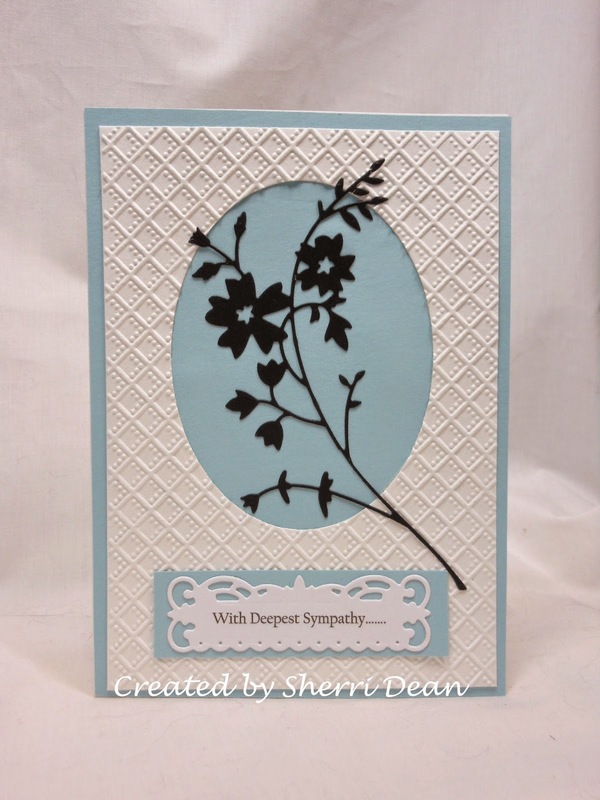 I thought I would share some of the cards that none of us enjoy making...sympathy cards! Making a special card for a sad event is never easy but it always means a lot to the recipient to know you cared enough to send a handmade card. I am sharing two cards today that were made from one of our beautiful embossing folder sets "Sizzix Butterfly Lattice Set" which includes two gorgeous embossing folders. Both of them will be folders you use again & again. For the first card, I used the folder that looks like lattice and combined it with Memory Box Honey Blossom Sprig and the smallest die from the Spellbinders Reflective Moment set. After embossing the white cardstock, I cut an oval from the center & positioned it over my blue mat before adding my beautiful honey blossom sprig to the center. 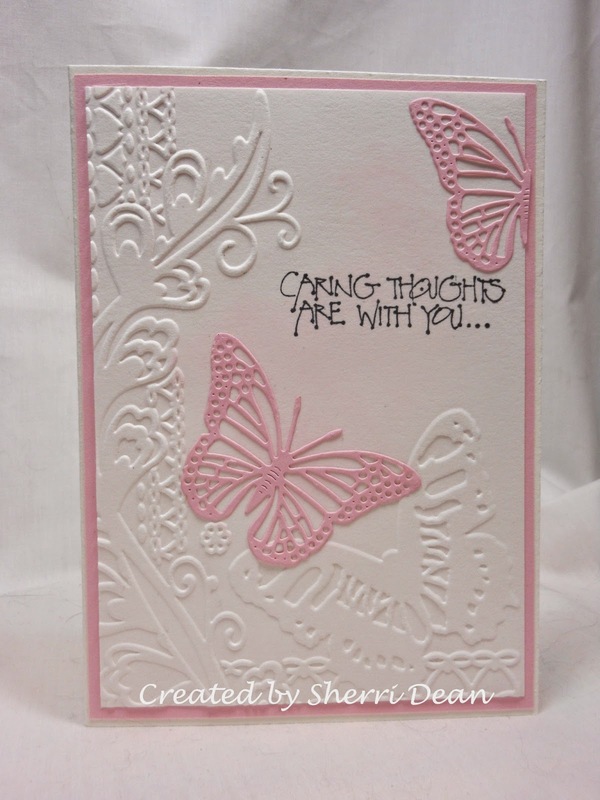 On this card, I used the beautiful butterfly embossing folder from the set & sponged a tiny bit of pink to the center before adding my butterflies which I cut from Cherry Lynn Exotic Butterfly Small #2. These 2 embossing folders can be interchanged with so many different dies that you are only limited by your own imagination! Be sure you come back the rest of the week to check out the remainder of our design teams inspiration. And don't forget to drop by the Dies R Us Challenge Blog for a chance to win a gift certificate!! Until next week, have a fantastic week & put those creative juices to working!! Sherri, I love both cards! I have all the ingrediants of both cards! I likethe design job you have done on both. These are sweet and perfect for Sympathy cards. Soft & simple cards are also my choice for sympathy. These are such sweet cards.